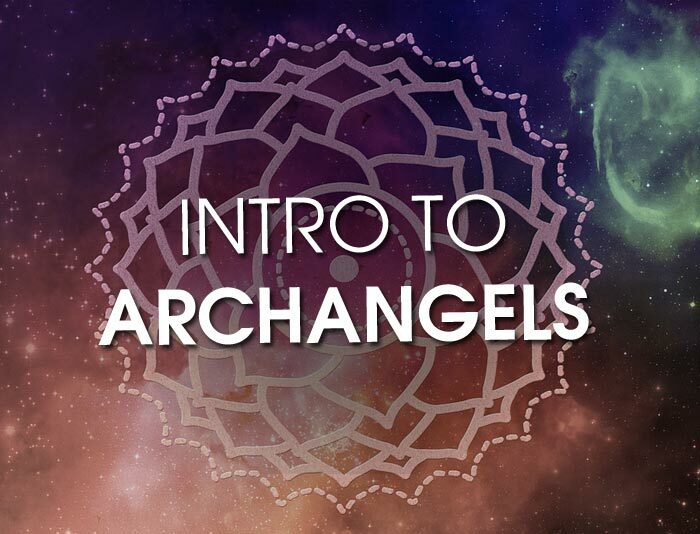 Archangel Introduction | What is an Archangel & What is it's Purpose? What is An Archangel? And what is it’s Purpose? What is an Archangel? Well, to put it simply an archangel is an angel of high rank. The word archangel itself is usually associated with the Abrahamic religions, however, beings that are very similar to archangels are found in a number of religious traditions.1 But my specific interest and expertise on these Winged Messengers is not based in any religion. I open my mind & heart to the wisdom of the angels and allow myself to receive their messages, as they guide me on my path. In my experience, the archangels are not in this for the glory – they don’t want to go down in biblical history!!! Their main goal is to be a divine presence – to affect positive change – in all our lives, if we choose it! What is the difference between Archangels and Guardian Angels? Angels are Love. Pure, unadulterated, unconditional love. So if they are all the same, all about love, then why wouldn’t I just call on my guardian angel for everything? Like the human world, angels are here with their own personal purposes and missions to fulfill. They have strengths that are specific to certain aspects, issues and events. Guardians are here to keep you safe and to be your energetic eyes and ears. They don’t leave your side, they are all about YOU. The Archangels serve a broader purpose. They are the Managers and Overseers of the Guardians, making sure that everyone is fulfilling their assignments well. Not only do they have a bird’s eye view of our lives, seeing the depth and scope of our human struggles from above but they see the big picture for all of us, and know how to orchestrate and maneuver to make our manifestations happen for the highest and best of all involved. So I could use my Guardian angel as my go between, but the way I see it: Why have a “middle man” when you can go straight to the source?! While each Archangel is assigned to assist with a different aspect of humanity, Love reflected through these various aspects, is at the heart of the matter. Love is the one true aspect. It is the ultimate goal. But our conflicts and circumstances rarely expose themselves as such. It’s more likely that we see our situation through a filter of anger, confusion, hurt, grief, fear, etc. In these instances, when we seek guidance, how do we know which Archangel to reach out to? How do I know what Archangel to call upon when I need help? These Archangels have a lot of humanity on their plates to oversee! A single angel can be in charge of 4-6 unique aspects and each of those is broken down further into smaller issues. When I was exploring what the Archangels meant for me, I wrote a book about my experiences – The Archangel Experiment: Elevate your Relationship with the Divine. To make things as simple as possible, I chose a single theme word that best represents the essence of their responsibilities. Then, like the “Queen of England”, I gave them each their own title: “Angel of (their aspect)”. ie. 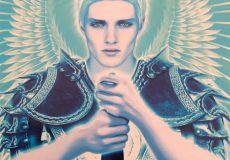 Archangel Uriel has been dubbed the Angel of Truth. You will find knowing who to seek out much easier this way. Below, I have included a video that details my personal experience with the Archangels, specifically Archangel Chamuel. I share a little bit of information on how I came to learn about them, and why they are such an important part of my life now! 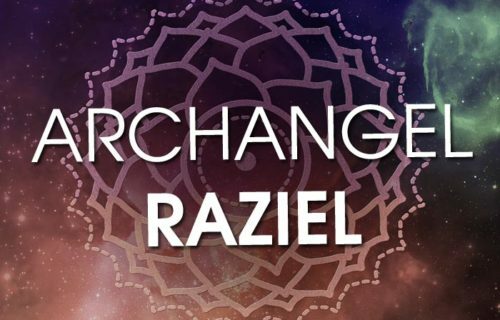 If you are being called to get to know the Archangels, here is a downloadable list of my top 5 favs: Top 5 Archangels You Need To Know. This outlines what each angel specializes in, and how to call on them when you need their guidance! A great way to get started! So let’s talk about Archangels this week. I’m going to share with you my personal story. As I’m sure you have gathered, if you’ve watched any of my feathers of wisdom, or read any of my stuff, you probably know that I have a very difficult time embracing religion. I’m a spiritual person but I just do not buy into religious tenets, religious dogma, structured worship of any kind. It’s just an issue with me. I was born and raised with it and it was not a pretty picture! So anything that has to do with what I perceive as a connection to religion – to Christianity in particular – I tend to shy away from it. Even using the word GOD, for years, it was like choking – it choked me to say it. I refer to my god source as Divine Spirit today. But things like that, and archangels, and anything that I was raised with, I tended to be like this (makes an X with her hands) with it, including Archangels. Then a couple years ago, I started getting these messages to check out the Archangels. And I would hear about these ascended masters, and these archangels all the time and I just dismissed it out of hand because I was like “Ok I’m nonjudgmental. I’m not going to judge other people for what they are choosing and what they’re looking at. I believe that everyone has their own path, and if that works for them Awesome! It’s just not working for me.” And I kept getting these messages and having these dreams. So one day I was at our local metaphysical bookshop here in Raleigh, and I stumbled across the oracle deck Angels of Atlantic (Stewart Pearce). And the package nearly jumped off the shelf at me and I just was like “Oh my god I have to have these cards!” I didn’t know quite why at the time, ’cause I’m not into angels? What’s that all about? And I read up on and bought this deck, and started using the cards. I really enjoyed what I got from the cards and the deck, and started learning a little bit about angels. Then I attended a seminar here through the Spiritual Frontiers Fellowship and it was a woman who was speaking about her experience with angels – she’s an angel chick! 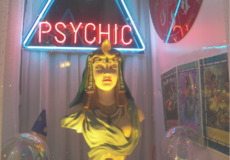 I found her story fascinating and I really enjoyed receiving an angel reading from her. Slowly but surely I started to recognize that angels and Archangels don’t necessarily need to be connected with religion in order to experience their messages and their help, similar to what I went through in accepting Jesus. I see Jesus as an ascended master, not as a son of god and, you know, someone to worship separately. I see him more as an ascended master because I always believed in his message, I just did not believe in all of the other stuff around it. So I kept getting these messages about Archangels, Archangels, and I needed to find out who my archangels are. And I started to receive messages and information while giving readings though Archangels. I want to know who I’m communicating with or rather who is communicating through me. And I really want to to have a personal relationship with them. So I went on this crazy journey to find out all about the Archangels. I went and bought every book known to man on the Archangel starting with Doreen Virtue and sort of moved on from there. In addition, I did a lot of books with Edgar Cayce. Stewart Pearce, reading up on them, and the information was interesting and it fed me for a little bit but it was more like “the history of” and … I didn’t feel like it was practical. I didn’t have any personal experiences with the Archangels. And so that led me to looking into different seminars and things on Archangels. I went to a seminar about a year ago and it was supposed to be for advanced meditators, people who were into the spiritual realm and I was like Yeah! This sounds so great. This is really going to give me a personal experience. And I left there, while the seminar was great, I left there having learned nothing. It was all the information I already knew and still not having the personal experience. And I went home that night very, very sad, and I said: “I guess what I’m looking for just isn’t out there”. I woke in the middle of the night (as is typical with my dream team wakes me up often!) and it was 2:22am in the morning. And I had to leave my bed, go downstairs to a laptop and sit down and I wrote an outline for the message basically was write the seminar you wish to attend. And that became a book. Which is called The Archangel Experiment. SO that has been my journey with Archangels and what I have learned on that journey is for me : I don’t want to have an experience that someone else had. I want to have have my own experience, develop my own relationship – I love small groups and one on one . That’s really where I thrive is really getting to know someone on a personal level – really connecting with them. And it’s the same thing with our Divine Dream Team. Just because they aren’t here in physical form doesn’t mean we can’t have a personal relationship with them. So I started exploring my personal relationships with the Archangels. 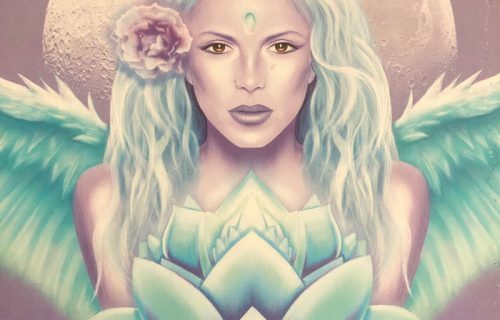 One of the ways I like to connect with them on a daily basis is through my Kyle Gray Angel Prayers deck. I’m going to do a little impromptu reading today for all of us to see what the Archangels have to say for us. We’ll see who shows up and we’ll see what their personal message is for us. So the card itself says: Thank you Chamuel for removing the barriers around my heart. I’m just going to tune in and see what I get. SO Archangel Chamuel is the Archangel of Love. The Archangel of Peace. Very much about the heart so m=no surprise there that it’s saying Open Your Heart. And I know this is a personal message for me. This is something I have been working on the last couple of weeks in my meditations is just opening my heart. Making my heart as large s the planet, and larger than the planet, and you know, how can I be of service, and keep my heart open even though challenges – challenging experiences with others – just keeping that heart open. SO let’s see what the message is for everyone. SO Archangel Chamuel wants to let you know that he is here for all of you. He is within all of you. I’m seeing…he is taking his wings and wrapping them around the world. And he’s also wrapping his wings around each and every person in the world. 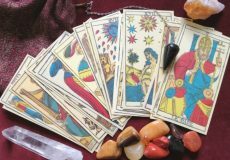 This is a time of tumultuous transition but you must always remember that you are always surrounded and supported in love. Love is the only answer. We want only peace for you – peace in your individual heats, and peace in your global heart. This week, as you go about your business, see everything through your heart filter. Before you speak, before you move, before you take action, stop and think about what you are going to say and do, and take it from the brain and put it into the heart. Feel it first. Feel how your words would affect the other person you’re going to speak them to, and then adjust accordingly. That is your challenge for this week. We know you’re up to the task. SO that has been some of my personal experience with Archangel Chamuel – learning to expand and open my heart – and he is expressing a similar message to all of us this week as some food for thought. Something to take with us this week as we go about our lives! I hope this was very interesting to you, me sharing a little bit of my story. 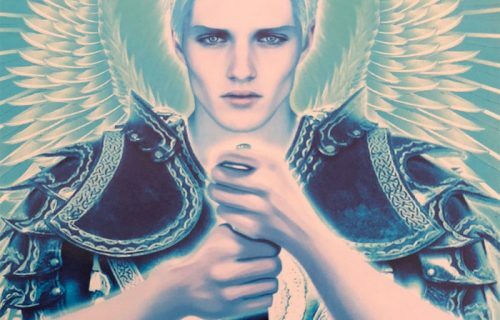 I would like to do some more of these card pulls for you in the coming weeks to help you learn a little bit more about the Archangels and see if you can come up with your own personal experiences with each one of them as they resonate for you. Until then, have a great week! Good luck with your challenge! I know that’s going to be a challenge for me to keep in mind with every person I interact with. Good luck with that challenge and we will see you next week! Take care!